Our mission is to teach people in the Kirkstall area about growing their own fruit and veg, healthier diets and lifestyles and the importance of being outdoors by providing them with growing spaces and the support and guidance they need to achieve all these. Kirkstall Community Garden is a community project run by a team of volunteers local to Kirkstall. The project was founded in early 2013 by Paul Long, Ilinca Pirvulescu and Dan Medcalf with the aim of creating a safe and friendly environment in the local area where people from the community can come together and reconnect with nature, learn about and grow their own food and enjoy some quality time outdoors. After a few smaller scale projects around Kirkstall, in late 2013 the group secured two plots within the Church Lane Allotments and a Community First grant to help get things going. Within a few cold months, the initial steps were taken to creating the community garden. After a first year of trial growing, building works and training for the members and volunteers, the winter of 2014 and the beginning of 2015 called for reorganizing and regrouping after Paul Long and Daniel Medcalf left the project and Jonathan De-Aston stepping up as Chairman. With fresh ideas, a more united team and big plans, Kirkstall Community Garden managed to bring the project to its true potential. Kirkstall Community Garden regularly supply Sensory Leeds with fresh produce to use in their amazing activity of supporting independent living in their PAYF cafe (https://www.facebook.com/veggieshack2015 ). Also, KCG organise weekly volunteering sessions every Sunday, focused on growing their own, healthy diet and lifestyle and developing eco-friendly attitudes. The community project strides to promote social engagement, healthy lifestyle for all members of the community & work towards a more sustainable society. You can follow Kirkstall Community Garden on Twitter or Facebook for more information and daily updates and ideas. 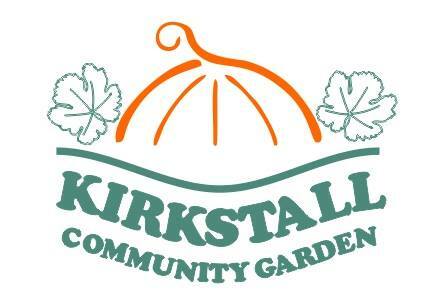 No upcoming events for Kirkstall Community Garden.